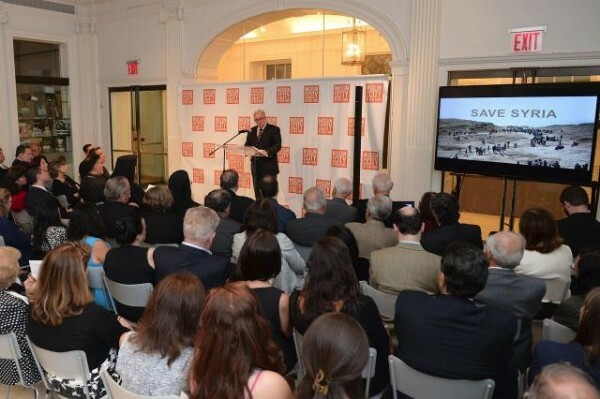 On Tuesday September 29th, 2015 at the Museum of the City of New York, the former Director of the Department of Philanthropy of the Patriarchate of Antioch, Samer Laham, addressed a crowd of nearly 200 people regarding the devastating impact of the humanitarian crisis in Syria upon Orthodox Christians in the Middle East as well as Syrians of all faiths. 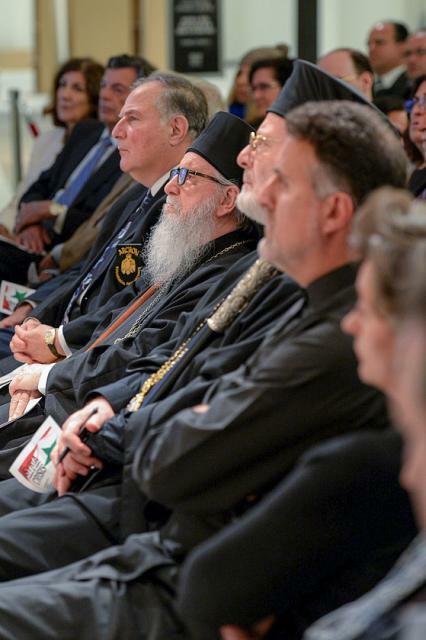 His Eminence Archbiship Demetrios of the Greek Orthodox Archdiocese of America and His Eminence Metropolitan Joseph of the Antiochian Orthodox Christian Archdiocese of North America were in attendance and offered Archieratical responses to Mr. Laham’s multimedia presentation. The lecture was sponsored by the Order of St. Andrew, the Order of Saint Ignatius of Antioch and the IOCC as the relief agency of the Assembly of Bishops.